Here's the giveaway as promised! I have taken a lot of effort to keep it *very* simple and easy to enter so that you all have an equal chance to be the lucky one! Yes, it's a Rafflecopter giveaway, luck matters ;) except for the third prize which is for the humble soul who shares this giveaway the most! Second Prize: My very favourite Flipkart Voucher worth 1000/- which'll be valid on all sellers including WS Retail! Third Prize: Sharing is caring! So, the one who shares this giveaway the most(links to be entered inside the 'share' part of the Rafflecopter widget) will get a Amazon.in gift card worth 500! *Ignore the typo in the second pic. It's not 'giveaway but 'winner'. 3rd point. Hello lovely people! Firstly thanks a TON for making this giveaway a HUGE success!! You all are AWESOME! Thank you for the lovely comments, wishes, messages and thank you *from the bottom of my heart* for participating in this giveaway!! I wish I could choose all of you as winners but sadly, I am forced to choose only three out of the STRIKING 2500+ amazing people who participated! 1) The first winner who wins the amazing hamper filled with gifts is *drum rolls* *seetis* *claps* Mohammad Farooq! 2) The second winner who wins an amazing Flipkart voucher worth 1K is Bhawna Varshney! 3) The third winner who wins an Amazon gift card worth 500, for sharing this giveaway the most is *HUGE APPLAUSE* Hema Thakur! Three cheers for her for her folks. I wasn't even able to count the times she shared the giveaway. You rock girl! My hearty congratulations to the three winners. Reply to the mail you receive from Bushrablue01@gmail.com ASAP! Thank You So Much for hosting this wonderful giveaway. Its the best giveaway I have come across so far. 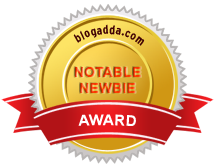 Hey Bushra..Congrats on your blogs second blogversary.Keep it up. P.S There is some issue with the comment plugin i guess. Done all steps....Wish to win and be the luckiest Dear !!! Firstly, so many congratulations for your 2nd anniversary! I'm new at your blogs, but have fallen in love at first sight, I must say! I really like both of your blogs and they good enough to read. Done all the steps.Desperately wanna win.Too curious as to whats in the hamper!! Anyways Congratulations! Its a huge deal.The are so many bloggers out there and getting attention is so tough.I'm really glad you made it! congrats on completing two years blogging. i saw this because a friend shared and told me about it and im so glad i did because you are amazing. may god bless you and i hope you celebrate more and more blogoversaries. done all, hope to win :) Thanks for the lovely giveaway !